Inside dimensions approx. 39" x 78"
Outside dimensions approx. 50" x 90"
Inside dimensions approx. 44" x 88"
Outside dimensions approx. 55" x 100"
Inside dimensions approx. 50" x 100"
Outside dimensions approx. 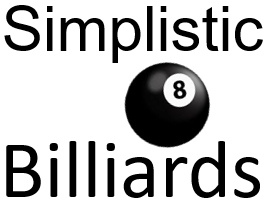 62" x 112"
All pool tables are regulation pool height with or without the optional hydraulic legs, used to lower the height approx. 1.5" during dining.